With so much hoopla surrounding the UFC’s return trip to Canada on Saturday, let’s not forget the Octagon will be returning up north with a star-studded show in exactly two months. 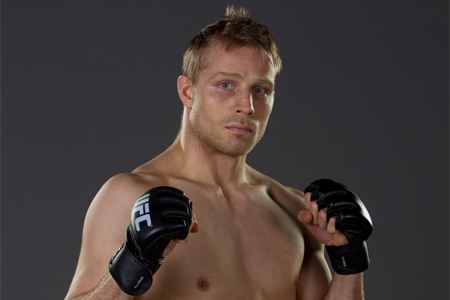 The recent addition of the middleweight tussle between Nick Ring (Pictured) and Constantinos Philippou should make UFC 154‘s roster complete at 12 bouts. Ironically, one of the two scraps not officially announced is the show’s featured attraction between welterweight king Georges St-Pierre and interim champ Carlos Condit. However, that title unification fight is all but a done deal. The light heavyweight affair with Fabio Maldonado and Cyrille Diabate is the other contest not confirmed by the UFC for the November 17th event. Montreal’s Bell Centre hosts the festivities.